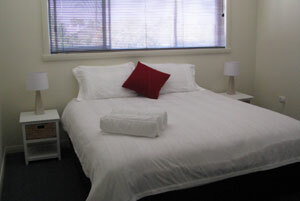 Located in the quaint seaside town of Bridport on Tasmania's North East Coast - just an hour drive from Launceston - Old Pier Apartments offer clean comfortable self-contained accommodation solutions. Centrally located within close proximity to beaches and shopping areas, Old Pier apartments overlook the picturesque Anderson Bay and world renowned Barnbougle Dunes Golf Links. 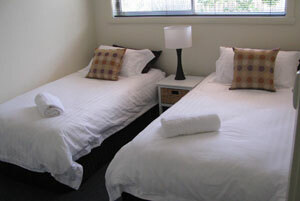 Each of the two bedroom serviced apartments located onsite comfortably sleep up to 4-people. 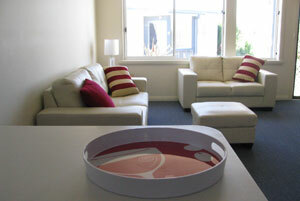 Each of the two bedrooms opens onto a large central living and dining area complete with fully equip kitchen. Take the opportunity to relax after a day at the beach in your own patio area with barbeque and outdoor seating. The local North East region and beachside town of Bridport has plenty of things for you to do during your stay. -	Explore the pristine local beaches and swim in the crystal waters of Bass Strait. A short stroll from your doorstep the family friendly beaches are a safe and sheltered location to enjoy swimming and water-sports. -	The newly opened Bridport history walk meanders beachside to the town centre where you can stop off at the local cafes to enjoy a coffee in the sun. During the summer months Bridport plays hosts to events and outdoor entertainment including fortnightly markets on the village green. -	Golfers can enjoy a round on internationally renowned Links Golf Course Barnbougle Dunes, just 5 minutes drive from Bridport. Enjoy the challenge of playing a world class golf course and take the time to enjoy a relaxing beverage in the clubhouse post round. -	If you have access to a car, take the opportunity to drive from Bridport out to Mt William National Park. View native Tasmanian wildlife and explore the untouched beaches, including the Bay of Fires, voted #1 on the Lonely Planet "Blue List" in 2008.
" Pipers Brook - Located next door to Jansz this cellar door also houses a café where you can stop and enjoy a glass of wine with lunch.
" Dalrymple - A two minute drive from Jansz and Pipers Brook, this vineyard is well renowned for its spectacular Sauvignon Blanc and cherry-red pinot noir.
" Bay of Fires Vineyard - If you can get your hands on it, try the Arras Sparkling - which won best spakling at the 2008 Sydney international Wine Show. Note: Weekly rate - stay for 7 nights and pay for 6 nights. We are small pet friendly, however, any damage caused will be charged.